Mad About Meghan: The Queen's Official Consent, Meghan's Mother's Day with Her Majesty & Behind the Scenes Royal Work! 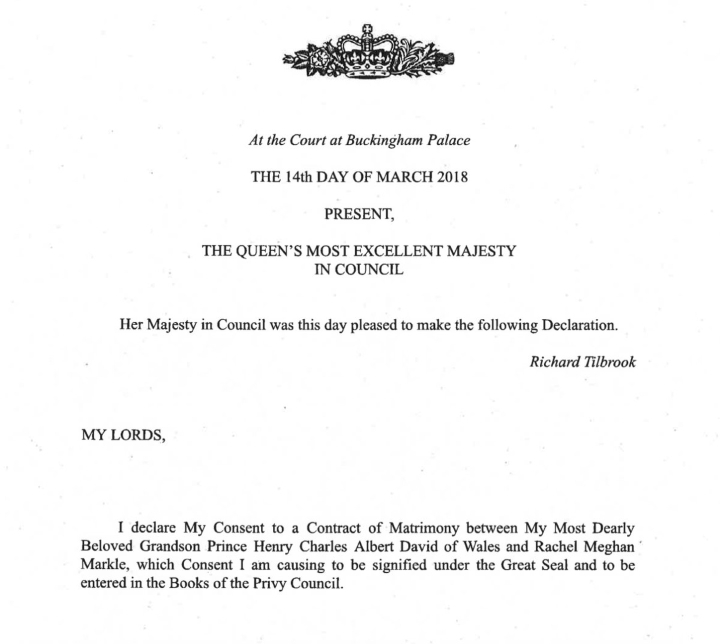 The Queen's Official Consent, Meghan's Mother's Day with Her Majesty & Behind the Scenes Royal Work! We're back with several interesting updates to share, from a very official wedding update to Meghan's Mother's Day with the Queen, information and news on behind-the-scenes work. The Queen Makes It Official... With only two months to go until the Royal wedding, Her Majesty has officially given the couple her blessing. As fifth-in-line to the throne Harry must obtain permission from the monarch to marry under the Succession to the Crown Act. The Queen formally granted that permission to her "dearly beloved grandson" and his future wife today in a letter from Buckingham Palace. 'The queen gave her private consent to the marriage months ago; they wouldn't have announced their engagement in November without it. But this formal proclamation, officially signed by the monarch under "The Great Seal of the Realm," is required by British law on the royal succession, most of which is about 300 years old but was updated in 2013. But that wasn't the surprise. What might intrigue Britons still getting to know Markle, 36, not to mention her fellow Americans, is that her actual given first name is Rachel. 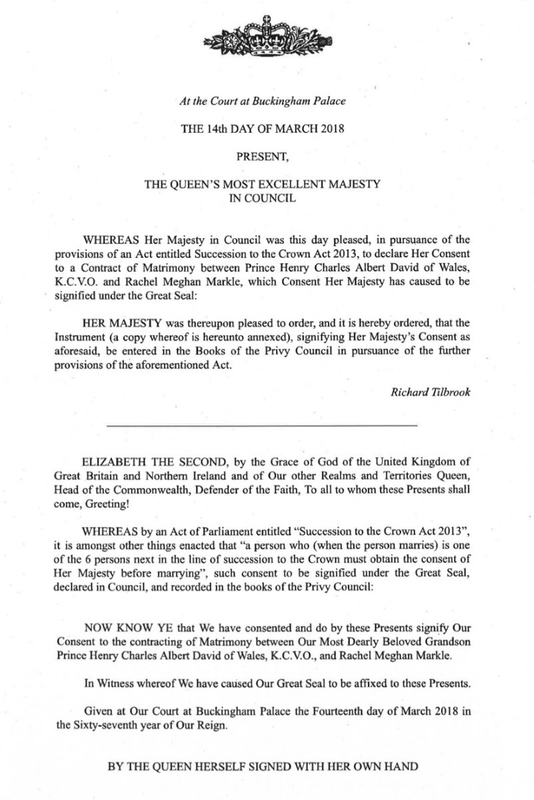 Rachel is the name listed on her legal documents, such as her American passport, so that was the name the queen had to use in her formal consent declaration. Same goes for Harry, whose given name is Henry (a traditional royal name) but has been called Harry since his birth 33 years ago. The document in its entirety. Mother's Day with the Queen... Last Sunday was Mother's Day in the UK. Harry and Meghan spent part of the day with the Queen enjoying an "intimate lunch" at Windsor. We know Meghan has spent quite a bit of time with her Majesty and no doubt the monarch is offering her advice which will serve her in good stead throughout her royal life. Given the sheer span of experience the Queen has, there's really no one better placed to offer insight. Meghan attended her first official event with the monarch on Monday, the Commonwealth service. The meeting was discussed in a new podcast, On Heir by royal reporters Emily Andrews and Omid Scobie. I'm thoroughly enjoying it and learning quite a bit thanks to their informative information and well-placed sources. A story has been doing the rounds in recent weeks claiming Meghan is totally overwhelmed and struggling. Omid pretty much dispels the story with info from his sources confirming Meghan is "relishing the opportunity to take on the new role. She's almost like a consummate professional on engagements". You can listen to the podcast here. Harry and Meghan's Private Visit to Colchester Garrison... During a powerful speech at the Veteran's Mental Health Conference in London where he delivered the keynote address earlier today, Harry revealed he and Meghan privately spent time at Colchester Garrison where they heard harrowing stories from the North Essex Veterans Mental Health Network. Harry noted "some of the stories Meghan and I heard when we visited Colchester Garrison a few weeks ago shocked us to our core". 'The project Harry and Meghan went to see in Essex is designed to give veterans all the help they need in one place. It is part of a partnership called TILS, the Transition, Intervention and Liaison Services, which brings various health bodies together under one roof. The intention is to create a "one stop shop" - so that service men and women get the full help available without getting lost in the system. Harry said: "Meghan and I recently visited The North Essex Veterans Mental Health Network and we got to see the amazing work they are doing in Colchester. "They have produced a seamless journey for veterans, with centrally held case management that results in transitional, not transactional movement across care services. "This style of service has been adopted by NHS England and is now in operation across a number of health trusts across the country." 'Sure, there’s a wedding to plan. But Meghan Markle is also in training for a whole new life. And she’s doing it faster than any royal bride before her. “Meghan has been regularly making private visits to organizations as she gets to know the U.K. charity sector,” a palace source tells PEOPLE in this week’s cover story. Fashion Updates... Meghan's Line engagement coat has been restocked at several retailers. Due to it's popularity it's selling out very quickly but remains available in limited sizing at FarFetch and Shoptiques. 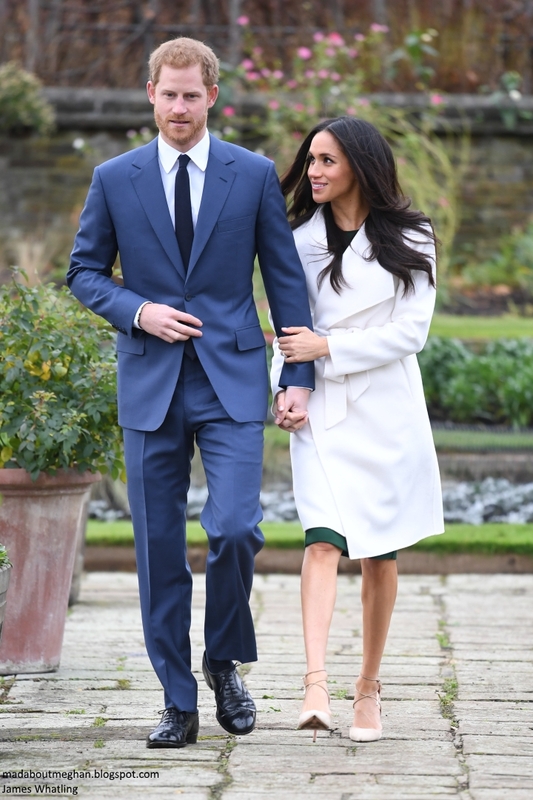 The Amanda Wakeley Cream Sculpted Tailoring Crombie Coat Meghan wore at the Commonwealth Day service is available in several sizes at Orchard Mile and Amanda Wakeley. The Springsteen dress remains in stock in UK size 16 and in a number of sizes in black. 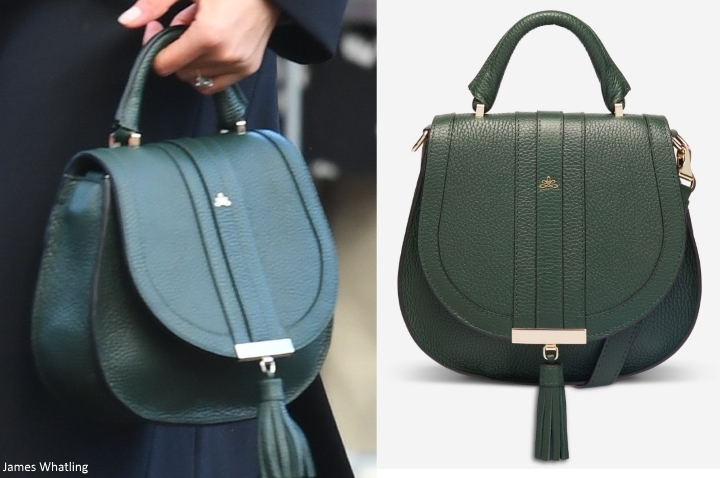 Meghan's DeMellier London Mini Venice bag is available in 'forest grain'. And Meghan's BaubleBar Peacemaker Ring is now available for pre-ordering. I think that is terribly sweet calling Harry "our most dearly beloved grandson." Harry's family must really like MM. It’s the same wording for all grandchildren, the Queen isn’t in the habit of playing favorites in official documents, lol. William was also ‘’our most dearly beloved grandson’’ and Zara was ‘’our most dearly beloved granddaughter’’. Of course, William was also described in those words in the document referring to the approval of his marriage. Was it made public at the time as well? I don't recall seeing it before a side by side comparison with this one. I think it was made public and was essentially the same as this one. There was a brouhaha over the wording of Harry's, and apparently it's a bit different because Meghan is not a citizen of Britain or a Commonwealth country. That assumes I remember things correctly! The big stink over Harry and Meghan’s is that some people are trying to say HM was “throwing shade at Meghan by not calling her “our trusty and well-beloved” like they are saying she did for Catherine. However, that wording wasn’t on the Privy Council books. The wording is identical for William/Kate and Harry/Meghan. The “trusty and well-beloved” for Kate didn’t appear until the formal Instument of Consent with the Great Seal. Royal reporters have confirmed that ''trusty and well-beloved” wording is only used for the Queen’s subjects. Meghan as an American, of course, isn’t one. And I dont' think Meghan will be called trusty and beloved as she's not a citizen of the UK or commonwealth. At least that's what people were saying on Twitter. When you join the military in Canada your attestation papers call you 'my dearly beloved' so and so. Thanks for the info on the conference! I will watch that tomorrow. The Create and Cultivate is my favorite extended length interview of Meghan. I watched it last year and I'm showing it as pre-wedding prep for my wedding watch party. I think you get the most personal insight because she's not promoting Suits and her character and she's not even really promtoting the Tig. The conference was in October right before her relationship with Harry became news so it's also the last chance to see her as an independent public figure. I also found it to be a very relaxed conversational interview. She seemed very down-to-earth, intelligent, and business savvy. In general very impressive. The other Meghan interview I recommend is AOL Build. She's there to talk about Suits so that takes up much of the interview. But, there's about 15 minutes (around mins 10-22) where she talks about her life and humanitarian work that are very good. Thanks for the tip. I just started watching it and it’s very fascinating. She comes off as very smart and hard working. An enjoyable conversation (and we probably won’t ever get a chance to see her like this again!). Becca, THANKS SO MUCH for that info - this interview is amazing!! It tells you A LOT about MEGHAN - it is very, very interesting to watch and I can only recommend it warmly to everyone on our blog!! You can see how lively she is - and how much she must already be holding herself back to be "more royal"... I was once again VERY impressed by her. Yes, she´s very "outgoing", lively, bubbly, she knows how to "win over an audience" - but what´s wrong with that? She clearly needs to be passionate about something in order to engage in it, so by no means is she "superficial" or "just self-promoting"!! I could go on and on, but I have to go now, so just please watch it, it´s very interesting and worth watching!! Hi Becca! On your recommendation I went and watched this interview, and I really enjoyed it. You're right about how relaxed and engaging she is - but I've also been watching some other interviews, and in general she seems extremely confident and eloquent. The more I listen to her speak the more inspired I am by her. I think the bracelets must be from Botswana, as that's where they were on that second date, and the specific country on the continent that they visited. Charlotte, I don't know these comments about gregarious, chatty American are rubbing me the wrong way and that Meghan needs to change who she is, can't these people let Meghan be. You do not have to publish this by the way Charlotte, I am just tired of these subtle back handed comments towards Meghan. I am one of the posters. And I agree about a lot of the back handed comments she is getting. But I’m actually writing from experience because I am an “chatty gregarious American” and have been told that in a variety of different settings. I talk with my hands, make a lot of facial expressions and am generally very animated. I think it’s something the press is already hitting her for... the talking over her sister in law comments etc. I just think she will be toning it down after a while. After being in the position and also probably after being much more in the public eye. She even admitted she was never in tabloid culture before. This particular interview struck me because she was even more animated than usual, it was just an observation that in the interviews we have seen recently she has adapted a different style already than what we see here and she has still been hit by the press negatively. I doubt she is going to change the way she talks to the public because she is very warm but she will probably organically change that way of speaking in interviews. Just wanted to post my side of it. Anon 01:21, I'm sorry you feel that way. I & I believe the others, were only being complimentary to Meghan. Meghan will always be Meghan. It's just that she will be up for more massive public consumption, just as Harry, W&K have. Harry & William have shared much about how they guard their privacy greatly. I've always liked the stories about how they have tested "friends", by planting a bit of personal info, & then if it came out they'd know the source. What a hard way to live. If they don't want to be entirely gobbled up, H&M will learn their own ways to guard their privacy as a couple. (reminds me of Harry saying during the engagement interview "or that they Think they know me") or words to that effect. So while the interview being discussed was really great & candid from Meghan, I believe the point everyone is making is, to protect their privacy, they will have their pubic selves & their private selves. Of course aspects of their authentic personalities will overlap, we just won't see Meghan as a Royal, in the same way she allowed others into her life as a private citizen. I hope I'm making sense? Not that you have to agree! I just wanted to elaborate on what my original feelings were about the interview & my take on the subsequent discussion that followed. 🌸 Agreed, Becca. I get what you said. 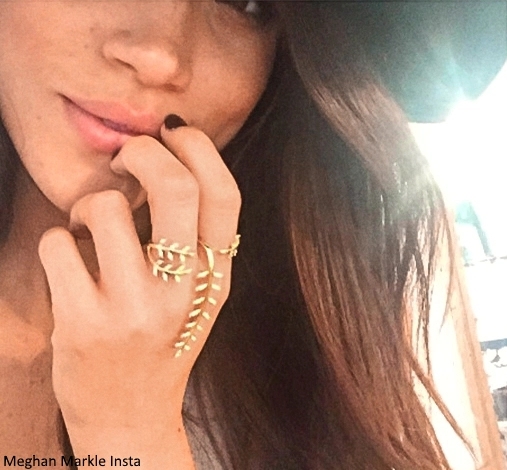 Meghan was on social media and blogging in detail, and very artfully so. Part of it was networking a new set of worldwide contemporaries and part probably just to keep her name and face out there for PR for more acting jobs. She already has forfeited her social media presence and, I believe, that as the newness of all the public “princess adoration” subsides, we will see a more subdued, yet authentic, Meghan. They keep their personal times personal in the Royal family and she will have outlets within those environments to be less reserved and more spontaneous. The Queen is very private but seems totally healthy both mentally and emotionally, a token of a full life, yeh? Yet we only get to see a small portion of her private life and people seem satisfied with with what she does share. Becca USA and Anon14:47, I understand where you are coming from but my point was not about Meghan revealing private information about her and Harry or the Royal Family at large. I do not see where she did that and if she did, would they consider her safe to marry in the family? The back handed and subtle comments are still there, especially in those comments implying she does not know or does not have the common sense to know when to adjust. I watched this video and I love Meghan in it! She comes across as very business minded and as a visionary! I feel like this Meghan is slipping away! I know she's becoming a royal, but I just hope that she can remain authentic to her causes and to who she is at the core. In reading the comments posted so far, I haven't read anything "backhanded". Meghan is about to become a member of the BRF and I think it's reasonable to discuss the impact of culture, personality, behavior. Thank you for the suggestion of watching Meghan's Create Cultivate interview, Becca. She seems so intellegent, driven, hard-working... the list goes on. She mentioned how much she loves writing. I hope she'll still be able to do that as a royal. She's so eloquent with her words, and passionate about the issues she believes in. I hope she feels like she can really make a difference even though she can't get involved at all politically. And, I agree, I can already see her toning down her "down-to-earth/informal" self for a more subdued, public royal self. (Like the Heads Together interview compared to the Create Cultivate interview). That's just what happens. She seems like an amazing woman, and I am so happy for her and Prince Harry. I have loved reading all of your thoughts about Meghan's Create Cultivate interview! So many great insights! royalfan, I'm still cracking up by your Caps ending! :) I always thought you were in the UK, we are on the same side of the pond. Good to know! :) You are so right! No backhanded anything. Just so interesting watching her evolve into her new job & role, just like we all do in our own lives. Love Her Maj’s Formal statement! Expect one with warmer language re Meghan upon the wedding. Can’t wait to see what our new Duchess will be up to in her first year...and I know you’ll be here to tell us all the inside scoop, Charlotte! Thanks for the great update, Charlotte! How wonderful to see the official consent of the marriage. Yay!! It's so hard to believe that the wedding is only 9 weeks and 2 days away! Wow. I am soooo excited and impatient to hear about Meghan's charity choices. It's wonderful that she is really going to hit the ground running and has been doing some real preparation behind the scenes. She's been so impressive at all of her engagements so far and I know she'll be just as impressive when she is out flying solo. It's also great to hear that she may have an interest in veterans causes - and how wonderful that she and Harry have been visiting veterans' hospitals in private. I'd love to see her do something for veterans' families, similar to Joining Forces in the US (created by Michelle Obama and Jill Biden). I agree, Eve. I'm hoping that she lives up to her billing and it appears she might! I don't know... we'll have to see how she responds to pregnancy... I think they are going to work on family first. She'll be 37 in August. I don't know FLMoxie, I don't think they will go for the family first. I think Meghan wants to have a family with Harry, but I think she wants to make her mark first. I also feel that her happiness is paramount to Harry. So even if it means waiting a year, I see Harry being very supportive of them taking that first year to establish themselves & their causes, while traveling within the Commonwealth. I think for Meghan, she seems to need to establish her causes & her focus & (as she says) get some legs underneath these things, before she delves into pregnancy & starting their family. I can understand that she would want them to have a year together as a couple & for her to live in this new role, before she adds on another one, of mother. I can’t speak for Meghan, but from my personal experience no woman who wants more than one child is going to wait until she’s 38 to start trying, if she doesn’t have to. That biological clock is a real thing and the reality smacks you in the face pretty harshly when you turn 35 and are single and childless. Not to mention your doctor will at this point start recommending alternative methods, like freezing your eggs. Having a child/children could slow her down, but it doesn't mean it will stop her. I am hopeful she'll be able to combine the two. We'll just have to wait & see. They won't have the time like Will & Kate had, to ease into work & ease into establishing their own family, while having chunks of time/yrs in the country. I sense Harry wants what Will has had, but I feel for H&M, because they are marrying now as full time Royals! No ease in, like W&K had. I think Meghan gives great attention to all she does, so while being a Mum won't stop her work, it will be more of a juggling act from the start, than it was for Kate. Maybe she gets pregnant later in their first year? All I know, is they seem to have dreams of lots of traveling around the Commonwealth & then I can't speak for Meghan, but Harry seems to want to be a very hands on Dad.... so there will have to be compromises for them that Will & Kate didn't have to make to such a degree. We'll just have to see how it all unfolds. My only concern, is the Rush of trying to get it all in... could put a bit of pressure on them as a couple & as individuals. There are great things about them finding each other later in life for sure! There are going to be challenging things about starting a life together later in life! It really brings home how fortunate W&K's timing for all of that has been. For all of the criticism they got, they really were able to lay a strong foundation, establish that normal family feel & learn their Royal Roles. Now they are old hats at it all & have seamlessly rolled right into being full time Royals with another one on the way & here Kate's working like any full time Mum would work, almost up to the end of her pregnancy. I love looking back with the perspective of how far they've come. Sadly, Harry & Meghan just will not have that timeline & that bit of breathing room, as a newly married couple. (on top of only having approx just under 2yrs together before marriage). It will all work out as they see fit, but I don't envy them the rush. Just my 2 cents. 🌸 good points, Becca. As much as they love children, actually having children has responsibilities that you can hear about and think you know, but until you have children and experience the 24/7, 365 scope of it, you are actually clueless. Traveling the world and changing it for “the good” will have to be balanced with raising “good” right at home for starters. I wish them the best. They have both been foot loose and fancy free and independent for quite awhile. Nannies can help, but that is only a small part of the equation. Parenting is one of the most important and most demanding and most worthwhile jobs in the world. And charity and doing “good” starts at home. Having children will be an eye-opener for them for sure, just as William and Kate said it was for them. My prayers are with them for sure. 🌸 and I agree, Florida Moxie, they will have children soon. 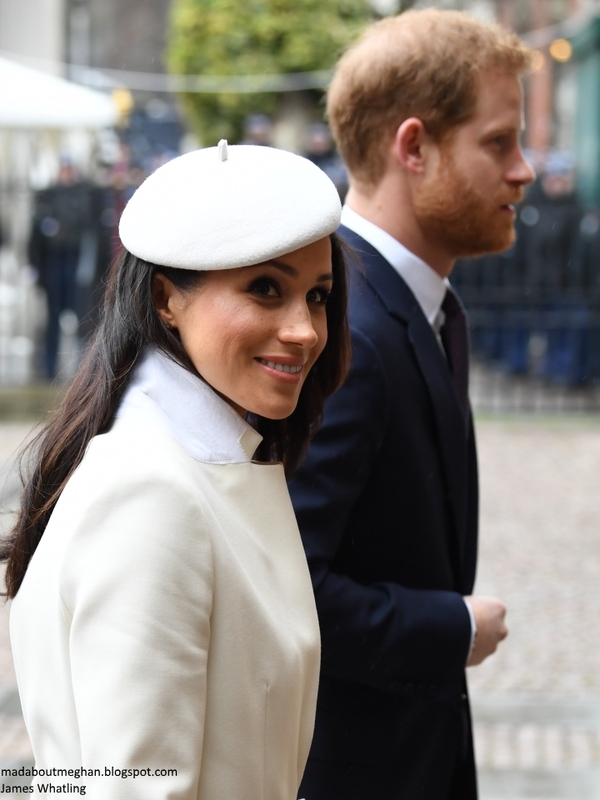 It isn’t just about Meghan’s whim or Harry’s, we’re talking about biochemistry. They are cognizant of facts in other endeavors. I don’t think they will ignore biochemical facts either, particularly if they want more than one child. How nice that Meghan and Harry spent a part of Mother's Day in Windsor with HM. Mother's Day is probably always marked with melancholy for Harry and William. Great to hear H+M have been so busy, not just with the wedding preparations but with a lot of serious work too. This must be such a special time for both of them... very intense. I too think.it was lovely they saw her maj on mother's day. I bet the dogs liking Meghan sped up things tremendously. I know I tend to think more of people if my animals take to them. They both seem super engaged with the people they meet, and really look like they will be dynamite representatives of the monarchy in the years to come. I think those stories circulating about her being overwhelmed are just to stir a pot. Let's not forget this woman graduated with a double major from Northwestern University - not a cakewalk and has spoken at the UN Women's conference in 2015. Just by watching her at her engagements, she seems like a forthright, compassionate, caring and intelligent woman. All of the rest is just noise, and just trying to provoke nasty comments (in my opinion). I think she's "hit the ground running" as the saying goes. And I think it's great for the royal family to have someone from "outside" join their ranks. It can only help them. Well, she wouldn't be human if she wasn't experiencing some degree of insanity with everything she has on her plate right now; most brides do and they are not taking on an institution. LOL But I do think that the articles you are referring to have more to do with wishful PR for other members, or shall I say member, of the Firm. I think she’s probably “overwhelmed” in the sense that she’s planning a wedding and the RF is high profile. But I doubt she’s in a meltdown about it or anything serious. I agree she is a grown up professional intelligent adult. I’ve never liked the, oh well she’ll have to learn all this etiquette and it must be so challenging, narrative. I think the woman can figure out the order of forks. And she has taken very well to the most important part which is being loving partner to Harry and engaging public work. I think maturity is the big key here. When I think back on Diana, as much as I loved her, it was clear, that even from her aristocratic background, she was no ready at age 19 to go under the pressure she did. I think some age and maturity and experience, all of which Meghan has, as well as a supportive relationship are going to help her a lot. Haven’t we read those story about every bride, royal or celebrity, in the magazines? It is an expected story line especially if someone marries into an institution. The magazines need to sell copies/ get clicks. A very relaxed bride isn’t just as interesting and gives nothing to gossip about. I am more annoyed by people who really believe that every critical or not positive article is an elaborate PR plot to make others look better. Those stories sell- humans love this type of gossip. Meghan might be nervous or not. I for sure would be. Especially after I had a taste of the mean side of the British press. They are ruthless- just remember the harsh and condescending articles they wrote about Kate or Harry’s ex-girlfriends. Poor Meghan has it a bit harder as the bashing about US society and stereotypes is a bit of a thing in Europe right now. She will make it and at some point she will get the same amount of praise and criticism as W&K for example. “I think the woman can figure out the order of the forks”! 👍🏻😂👍🏻 Hear hear!! I agree. Certainly there will be moments when she feels daunted by her new role, but she is well equipped to succeed in it. 🌸 I agree, Sandy. I don’t think that Meghan has felt overwhelmed at all. Even when she was dating Harry she (and Harry) had been “all over the place” “meeting all the key people”. Meghan hit the ground running the moment her feet landed on British soil. Perhaps her “outside” influence will also help Kensington Palace with refining their PR. I think it already has to some extent. Curious - what would happen if this consent never came? Would Harry not be in line for king? Or would wedding have to be called off? I guess that before the official announcement of the engagement Her Majesty has already given her consent. "My most beloved grandson..." sigh...such sweetness. It just occurred to me that Harry hasn't got a mother to spend UK Mother's Day with and that perhaps the Queen may be the person the entire family rallies around on that day. I doubt it was just the four of them (Elizabeth, Philip, Harry and Meghan). And the timeline of the last couple of events makes sense - Meghan was baptized before being in the Queen's presence in church at the Commonwealth service. I suspect the announcement was timed to occur after her admittance in the church as well. Meanwhile I don't know that wedding planning is that difficult when you have an unlimited budget and personal secretaries/staff to do the work. Somehow I doubt there is a group of women getting together to address the wedding invitations and put the stamps on. Or they are DIYing the table decorations. What might keep you busy is if you are going to be gifted some housing to decorate... that's what I'm most curious about. She does have people to help, it's true. And they don't have to really worry about a budget. But it is their wedding, and it should reflect who they are, so hopefully she is making sure that happens. They have issues the rest of us don't, like a head of state being insulted if a former head of state is invited and he isn't. And she does do calligraphy and I saw somewhere she wished she could do the invitations herself. I don't see that happening, but I could see her adding something to the formal invitation for family and close friends, so you scenario of stamping the envelopes may not be that far off base. They probably will get a bigger space, especially if they have children. So there is that too. And I saw something the other day that they may have bought the house featured in Pride & Prejudice (my English country fantasy house!) too. Oh, hello bluhare! I'm pretty sure Buck Palace and the Foreign Office are advising/informing on those diplomatic details - so I don't think the American Actress Meghan Markle is studying UK foreign affairs ahead of her wedding and worrying about it. But if you meant there are some wedding things she doesn't get to control - well, it is her second wedding - so she's had that "it's all about me" experience before. I'm sure she's enjoying herself with this one as well. I checked out the house -- lovely indeed. Not far from Charles and Anne. Of course, they are being advised, but you're making it sound like she's really blase because she's been married before. Is anyone blase about getting remarried? Most people I know are pretty thrilled about it, and while they may not have big shindigs like this, they still want their own touches on everything. It's also the groom's first wedding, and I imagine he gets a say too. Interesting that house is not in Norfolk, don't you think? Are you going to start a blog called Watching Meghan Not Watching Sports? Oh I don't think she's blase at all. This is a woman who wore a $75,000 dress for an engagement photo. I just don't thinks she's stressed. I think it is a British mannerism to position someone in a "hand wringing predicament". They've perfected the art of the "poor royal" or "woe is me who has to be royal" or "its a hardship to be royal". Really? She's going to ride in a horse and carriage around one of the oldest castles in the world and I'm sure she's been a part of every decision on her wedding. Honestly, who else would be making the decisions? She'll have a few more folks she doesn't know very well, but her future father in law and grandmother in law know them. I think they will get a house on the Sandringham estate to use too. But Harry has to think about his heirs and they need property to pass along. Harry becomes Margaret in the future and his children similar to David and Sarah. This purchase reminds me of Charles' desire to own Highgrove and to do something on his own - while still having all the other privileges. This location also gives them access to two other highly secured properties for their kids to play - Highgrove and Gatcombe Park. I was thinking of "Watching The American Woman Travel in Style on the UK and Commonwealth Taxpayer Dime." I really do wonder if they aren't going to spend most of their time abroad. Would be fun to track that. Haha! I will read your travelogue, moxie! If Harry does get the position some think he might they probably will do some traveling throughout the commonwealth. The queen is known to take that very seriously and I hope Harry can do a good job there. Sandringham is in norfolk, but maybe I'm not reading your post properly. As far as that dress, on a personal level I didn't like it, but if she paid for.it then I don't particularly care. That label.is horrifically expensive from what.ive read though if the rumors are true that she has chosen them for her wedding dress I wouldnt be surprized if there was a quid pro quo there. bluhare - if you have property to use in Norfolk - why would you need to buy there? A place in London, Cotswolds, Norfolk and Scotland - depending on the season. Sounds lovely. I hope Kate gets to take at least a month off after the baby comes and that Meghan gets to go on a long secluded warm honeymoon! Thanks, Charlotte. Good info. Being a US citizen myself, and speaking of Ms Markle as a humanitarian, she has always sparkled. I’m glad she is marrying the man she loves, but I’ll miss her VOICE on issues “across the pond”. it looks like it is going to be good. (I LOVE Harry’s accent in the movie, (romantic sigh). I have seen the trailer me too,it seems to be very romantic,the actors look like Harry and Meghan. Charlotte - you've probably got a post on this coming so feel free to move this comment over there, if you want (and it's possible). Yay - sounds like an amazing cake. I love the idea of the whole thing. Lemon cake is amazing (I just made a lemon loaf cake the other day!) and the flavor of elderflower is also delicious. Plus buttercream and fresh flowers...sounds lovely. Can't wait to see it! !